Forgotten your Microsoft Excel password and unable to open password protected MS Excel worksheet file? 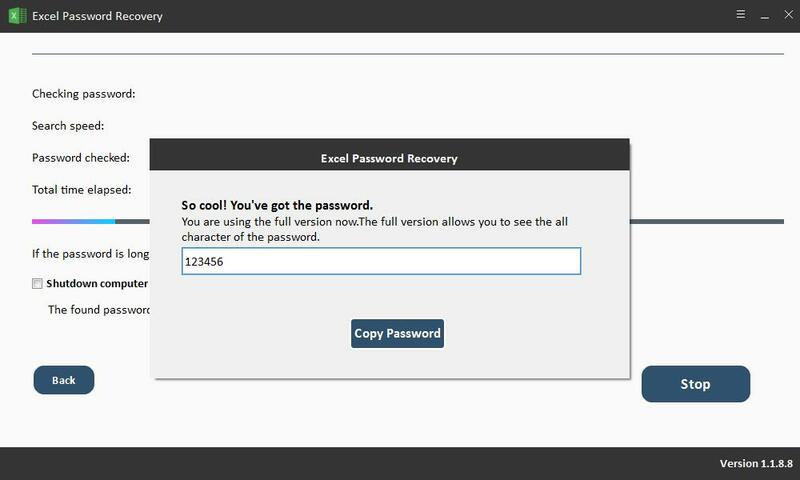 Free Excel Password Recovery software can quickly recover Excel password and unlock both Excel XLS file and Excel XLSX file. It supports password recovery from Excel 2017/2016/2013/2010/2007. 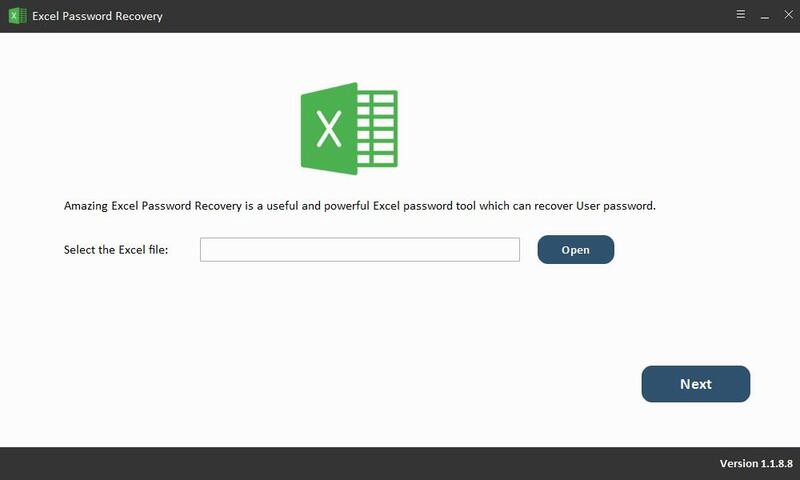 Free Excel Password Recovery provides three Excel password attack types including Brute-force Attack, Brute-force with Mask Attack and Dictionary. Brute-force Attack Excel Password method will take more time. It tries all possible combinations. Brute-force with Mask Attack method allows you to customize numbers, symbols, characters, etc. which will save you lots of time to recover Excel password. 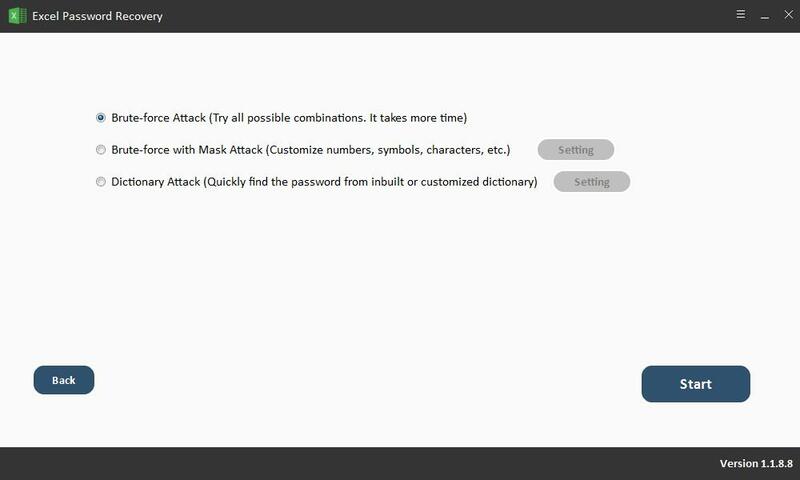 Dictionary Attack can quickly find the Excel password from inbuilt or customized dictionary. 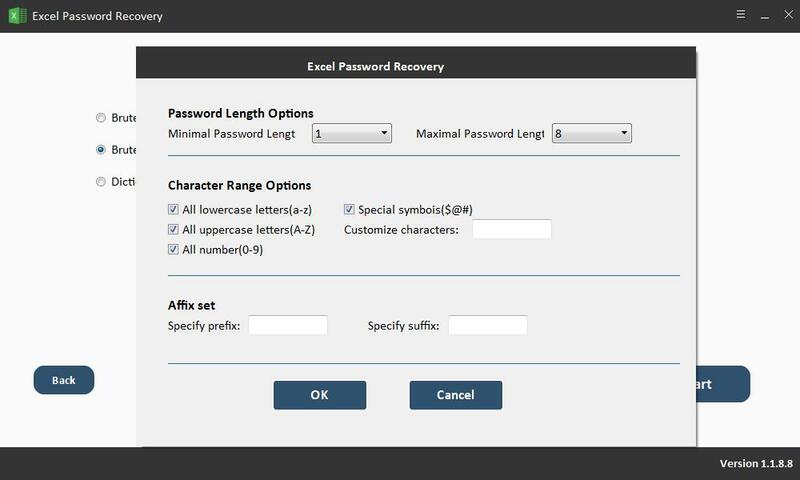 Step1 Download, install and launch Free Excel Password Recovery software. Click "Open" button to import password protected Microsoft Excel file. Step2 Select Excel password attack type and click "Start". Step3 Once the Excel password is cracked it will be displayed on the screen of the program. You can click on "Copy" to open the excel file. Tobey - This is the best software to crack Excel password online. Marian - It took about seven minutes to recover my forgotten password (password length: six).